Making your way to Barcelona? Excellent choice! Now to decide in which area of this amazing city you want to stay. Are you a laid-back Barceloneta dweller, or a cool Born urbanite? With so many different ‘barrios’ in the Catalan capital, each one offering a distinct cultural experience, choosing where to stay in Barcelona can be a little overwhelming. Whether you are in search of the buzzing beach vibes of Barceloneta or the historic richness of the Gothic Quarter, choosing the right holiday apartment in Barcelona could mean the difference between a good trip and an incredible one. Take a look at our list of the top five neighborhoods in Barcelona, all with their own charms and all in prime locations, making it easy for visitors to explore all of the Catalan capital, hassle-free! Situated right on the coast of the Mediterranean, the seaside village of Barceloneta offers visitors both astonishing sea views and easy access to all of the sights in and around the city. This area is a popular choice with many travelers, and is perfect for those looking to make the most of the beaches in Barcelona. With plenty of bars, shops and picturesque ports, Barceloneta is ideal for kicking back and escaping the hustle and bustle of the city. The area is also home to some of the best seafood restaurants in the city, ensuring an all round Mediterranean experience. Intrigued by the longstanding history of Barcelona? Well then, the Barri Gòtic in the Ciutat Vella district is the only choice for you. Nestled in between El Raval and El Born, the Gothic Quarter is home to winding alleyways and quaint plazas, allowing visitors to catch a glimpse of Barcelona’s history up-close. Here you can stay right beside ancient Roman walls and medieval buildings, which are dotted all around the town. Situated in the heart of the city, the area is also conveniently close to the famous Las Ramblas, making it easy to explore both the old and more modern parts of Barcelona. In search of a traditional Catalan atmosphere? If so, Gràcia will be right up your alley. The neighborhood is located near the Eixample and Sarrià areas on the upper side of the city. Here you can experience all the very best in Catalan culture, from small, locally owned boutiques to charming restaurants and lovely plazas, some of which play host to Sardana dances, the national dance of Catalonia, on Sundays. In Gràcia visitors can enjoy a “small town” feeling, while still remaining close to all of the sights in Barcelona. The area is slightly quieter during the day, but comes to life at night with a trendy bar scene that attracts everyone from young residents to celebrities. If you’re heading to Barcelona in August, don’t miss the Festa Major de Gràcia: a week-long festival where the streets of this neighborhood are covered in brightly colored, home-made decorations and Mojitos are on sale around every corner! If you’re a Gaudí fanatic, then Eixample is the neighborhood for you. This Barcelona ‘barrio’ is home to many of the most revered sights in the city, including the towering Sagrada Familia. The district is also home to many outdoor cafes, shopping areas and parks. Eixample is split into two districts (Eixample Izquierdo and Eixample Derecho) which hold equally as many exciting things to do or see. Within this district you will also find the famous shopping street, Passeig de Gràcia, and two more of Gaudí’s best known creations: the colorful Casa Batlló and unique Casa Milà (La Pedrera). One of the oldest neighbourhoods in Barcelona, El Born, is home to charming boutiques, museums, quirky restaurants and cool bars. This town was once the site of medieval jousting competitions and witch burnings, but it is now known as a trendy cultural hub where travelers can find something for everyone. The famous Picasso Museum and the Santa María del Mar church can be found here, as well as some interesting eateries and unusual stores. The Parc de la Ciutadella is to the north of the district and offers a great place to chill out or have a picnic. 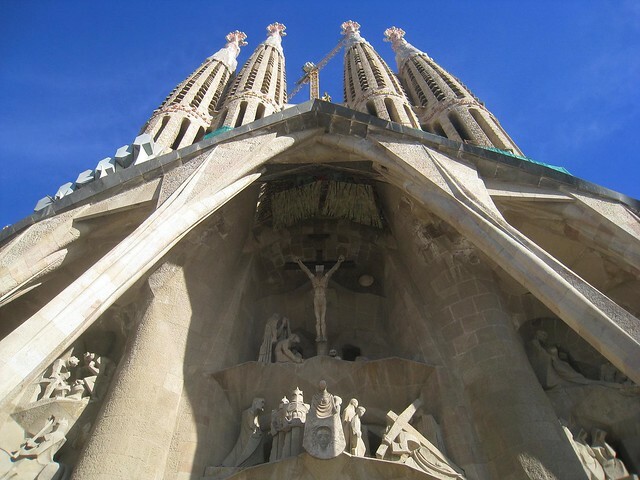 Choosing El Born as the base for your trip ensures a perfect combination of history and current culture. So, whether you wish to kick back beachside, enjoy a true Catalan experience or get lost in the winding streets of the Old Town, there is certainly a neighbourhood for everyone looking to rent an apartment in Barcelona, be it for a short or long-term visit. What’s more, this list is by no means extensive, with areas such as the artistic Raval and the upscale Sarrià providing their own charms to visitors to the city. This post was written and brought to you by Apartment Barcelona.